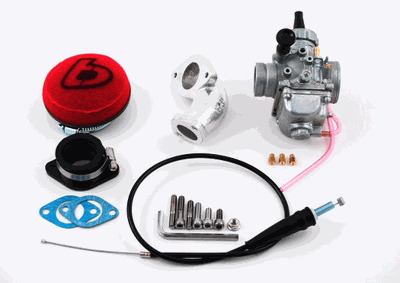 This is one of the best, if not the best, carb kits to run on the KLX110 big bore kits. The Mikuni VM26 has a proven track record of high performance, quality, and easy tuning. Note: Your stock heat stop (black spacer between intake and head) is no longer needed when using this kit. TBW0991 $174.00 NOTE: TB Race Head ONLY- NO V2! 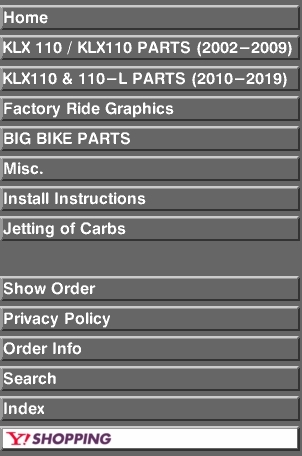 Bike: Kawasaki KLX110 2002-2015 NOTE: DOES NOT FIT L MODELS!